earbud if complementary to your hearing fitness. AudioPark’s revolutionary patented transducer technology, trademarked as ULTRA-Fi ™, by itself provides the highest quality full spectrum high fidelity audio available in the global market. This has also proven to be far more effective at restoring normal or near normal hearing functions than conventional hearing aids (according to leading musicians with heavily damaged hearing, and a prominent US hearing medical center). 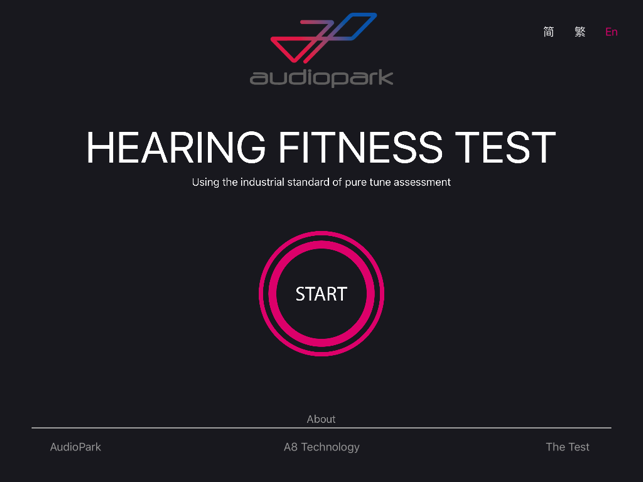 The clarity of sound produced by AudioPark’s unique technology mitigates the need for the excessive (and greatly damaging) volumes commonly incurred through the use of conventional ear buds and hearing aids in an effort to hear more clearly. This technology actively works to significantly reduce or eliminate audio fatigue, tinnitus and hearing loss that arises from the use of personal listening devices. One is that i can compare two difference earphone, i can see whice how fit for my ear, can see which i can listen more and display on the same picture, very good for me. One is that I can use QR codes to get my reports instantly, that great.